If you’re like me, crocheting accessories to keep me warm (and to give as gifts) is really enjoyable (and the projects are very useful, too!). I love crocheting scarves, shawls, cowls and lots more! Scarves and cowls are great, quick projects to make and to give as gifts to almost anyone on your gift giving list! 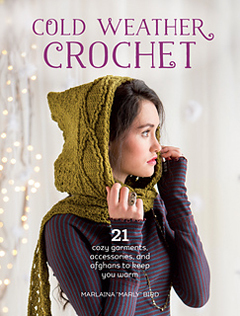 There’s a new crochet book by Marly Bird called “Cold Weather Crochet: 21 Cozy Garments, Accessories, and Afghans to Keep You Warm”. 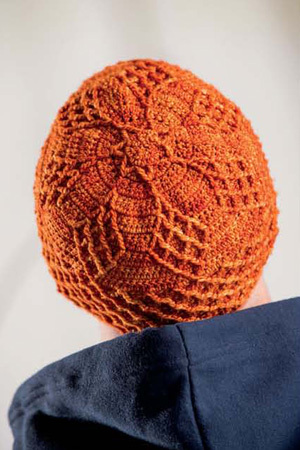 This book has a great assortment of patterns: 6 hats/caps, 3 cowls, 4 scarves, 2 shawls/wraps, 3 afghans/blankets, 1 mitt, 1 slipper and 1 sock pattern. The projects range from beginner to intermediate, so there’s something for everyone’s skill level. 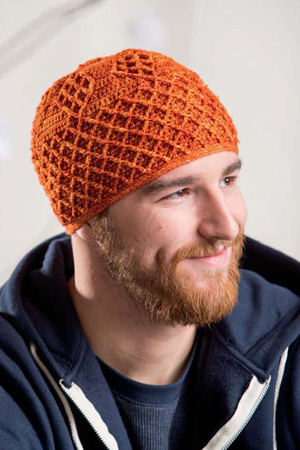 Most of the projects are for women, but there are a few hats for men in the book, as well! This is the Lace Motif Wrap. I LOVE the laciness of this wrap! It has a ruffled edging that gives it a little more weight and helps to open up the lace motifs while wearing it. Aren’t they cute? 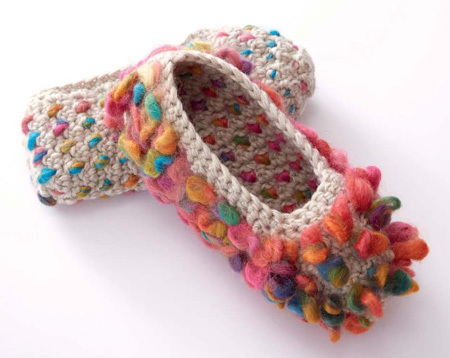 Knitters have done thrumming for a long time and I think it’s genius that Marly has designed a pair of thrummed crochet slippers! I HAVE to give these a try! This is the Cross Creek Hat. Obviously, it’s made for a man (at least that’s how it’s shown in the book), but I bet it would look equally as good on a woman! I LOVE the design that’s made at the top of the hat and the texture around the sides of the hat! This one looks like a lot of fun to make and wear! 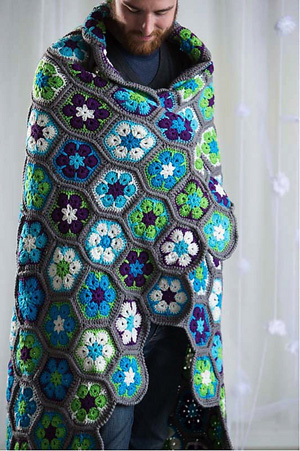 This is the African Flower Afghan. I LOVE the colors that Marly used in this afghan! And the African Flower motif is a really pretty motif! 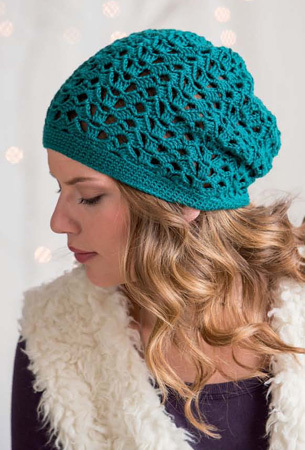 This is the Slouchy Hat. I LOVE the laciness of this hat! And the color is gorgeous, too! Susan: How long have you been crocheting? How did you learn to crochet or who taught you to crochet? Marly: I’ve been crocheting since 1999. I learned from my grandmother. Susan: What is your favorite type of item to crochet? Marly: My favorite things to design are sweaters but I enjoy crocheting accessories because they are fast and I get to play around with stitches and color without a lot of commitment. Susan: Do you have any favorite crochet techniques that you enjoy? Marly: I love learning new techniques. I just taught myself how to do Interlocking Crochet (I am calling it interwoven as Interlocking is a trademarked term). I love the look of it and it is entirely new to me. Susan: How do you manage to juggle all of your job titles and family life? I hope you’ve enjoyed this book review of “Cold Weather Crochet” and interview of the book’s author, Marly Bird. This 128 page book is published by Interweave/F&W and retails for $22.99. For more information and to purchase this book, check it out on the Interweave website here. The book is also available on Amazon in paperback and Kindle edition here. This entry was posted in Book review, Crochet patterns, Interview and tagged book review, crochet patterns, interview. Bookmark the permalink.